This amazing grape variety, esstablished in France in the Middle ages by the pilgrims from their return of Santiago de Compostella’s road. harvest : Manual thinning Mechanical harvesting. To take benefits from the night cooling, harvesting is acheive at 4 am. 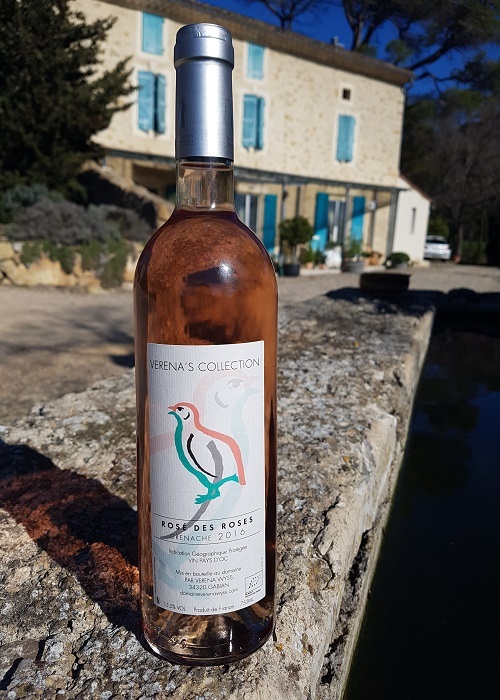 Vinification : Few hours after destemming and the start maceration, few hectoliters are set aside for the cuvée Rosé des Roses. The winemaking process is similar to the one for our white wines : clarification, alcoholic fermentation (around 14 days) in stainless steel tanks, under controlled temperature. Embottling : This wine is filtered before beeing embottled by gravitation process.